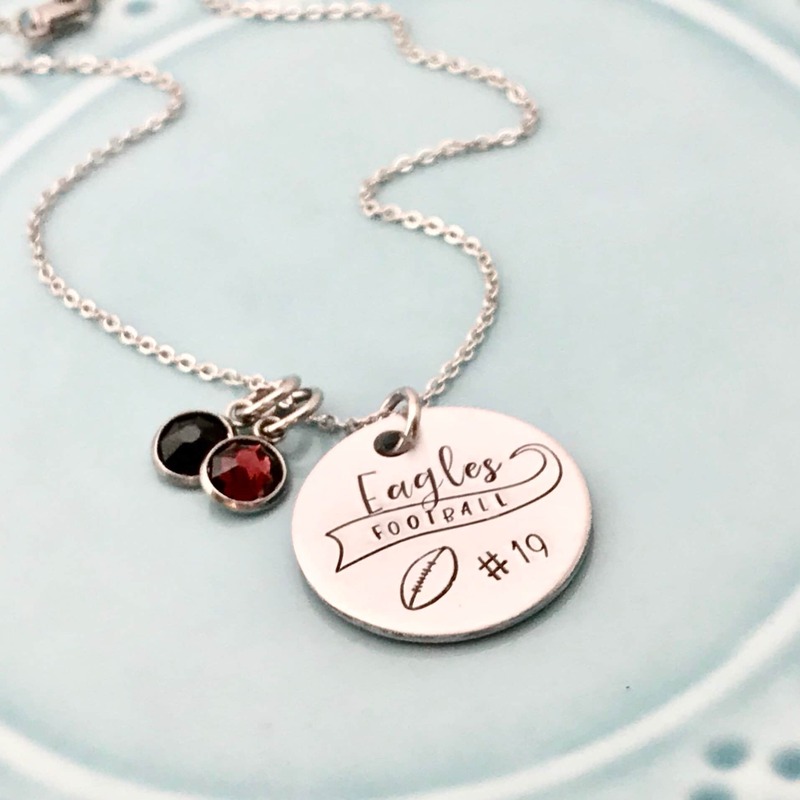 This cute team necklace makes a great gift for any sport mom. I show it here with football, but I offer most popular sports and activities. It features a 1" stamped aluminum charm that will not tarnish or change, as well as team color crystals. The cute swoosh design is exclusive to my shop and can be customized to include your team name or city or school. Please contact me if you are unsure if the text will fit. The crystals are swarovski crystals and come in birthstone colors that can come close to matching most team colors. It comes on a stainless steel chain that measures 18” long but has a 2” extender so you can adjust it to your preference. I can color in the stamped areas with most basic colors. Darker colors show up better than bright or light colors. Please let me know in the note section during checkout if you have any preferences regarding the colors used.